WENATCHEE – The second annual Ol’ Dog Days concert will be held Thursday, August 2, 2018. This year’s event features headliner the Kevin Jones Band, and local artists Eden Moody and Elaine Eagle. Food is provided and attendees will have the opportunity to purchase raffle tickets for great prizes, as well as a variety of beverages. 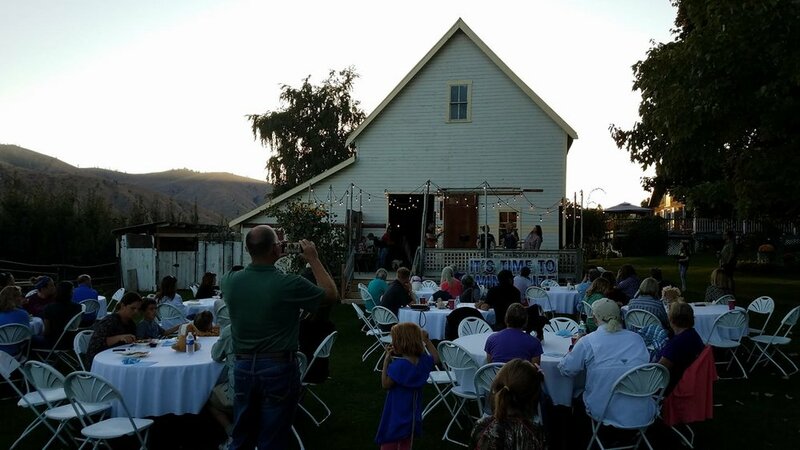 This event is supported by local business including The Sunshine Ranch, Doghouse Motorsports (Wenatchee Honda BRP), Town Toyota, Wenatchee Valley Brewery, Doghaus Brewery, Pear UP Cider, Stemilt Creek Winery, Two Chefs Catering, Weinstein Company, and Firehouse Pet Shop. Last year’s event raised over $4,000 for Wenatchee Valley Humane Society (WVHS) and Heffron said this year they are hoping to double that amount. Funds from the event will benefit WVHS’s general fund which allows for the care of shelter animals. Doors open at 4:30 p.m., music starts at 5:30. Tickets to the event include food and the concert. Prices are just $35 for adults and $15 for children 15 and under and can be purchased in advance online or at the door. For more information on the event, or how you can help, please visit www.thesunshineranch.wedding or www.wenatcheevalleyhumane.org .